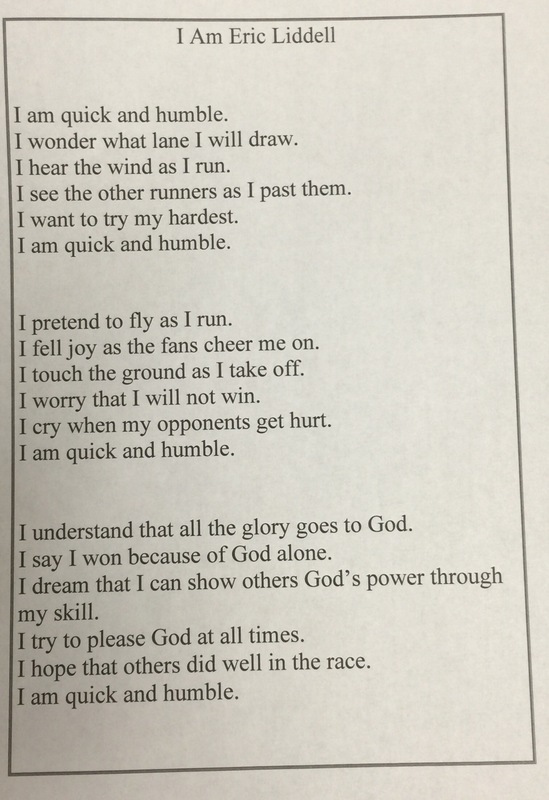 6th grade students recently studied point-of-view and poetry. 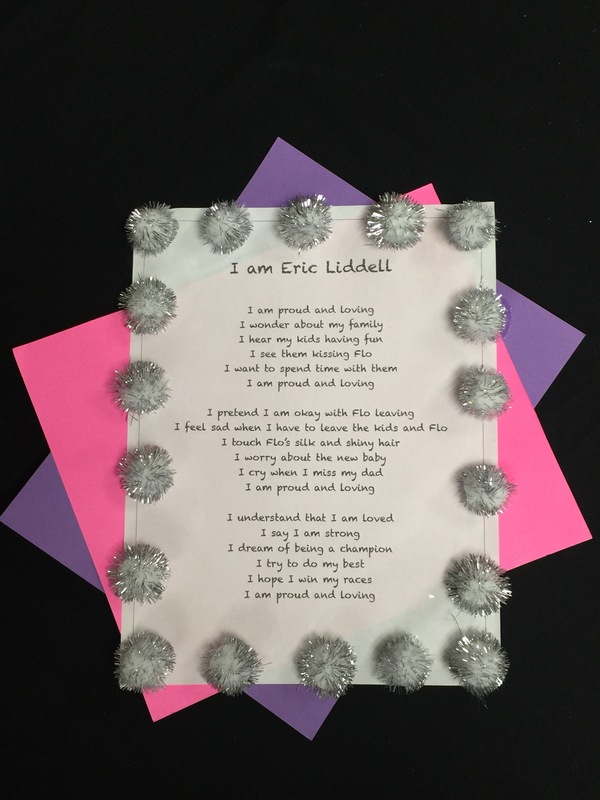 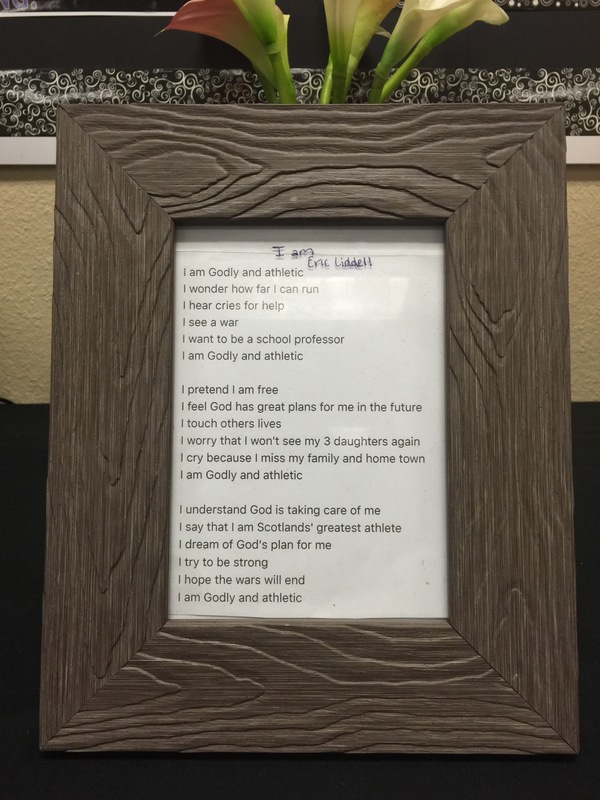 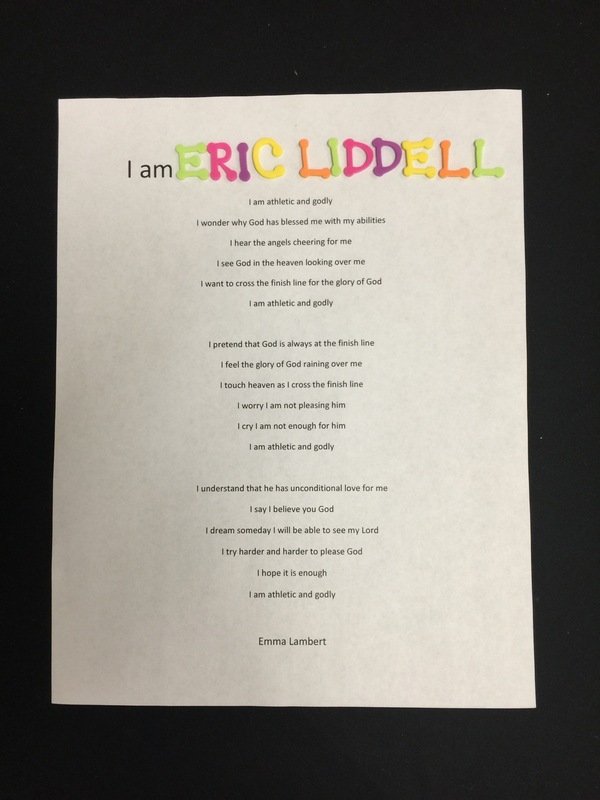 Students concluded their reading of “Eric Liddell: Something Greater Than Gold” by creating I AM poems. 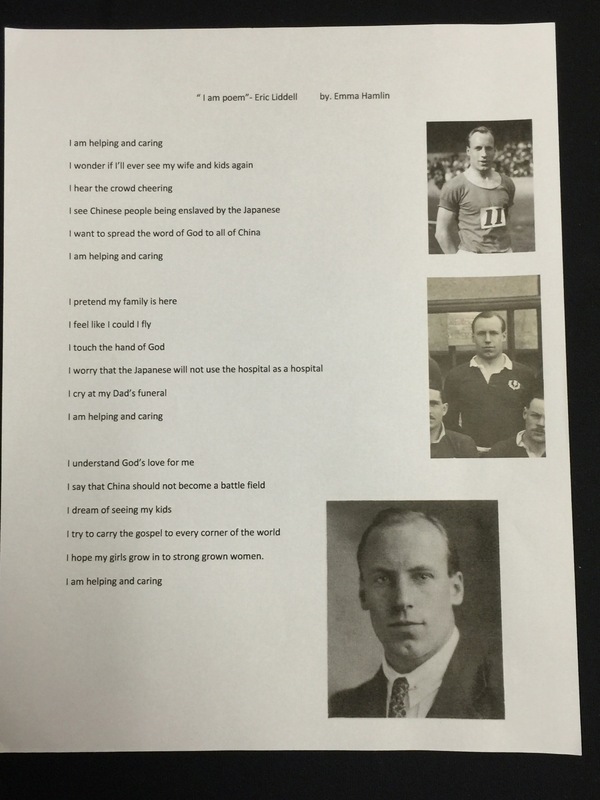 Students wrote the poem from the perspective of Eric Liddell and incorporated the major themes and events discussed in this biographical novel. 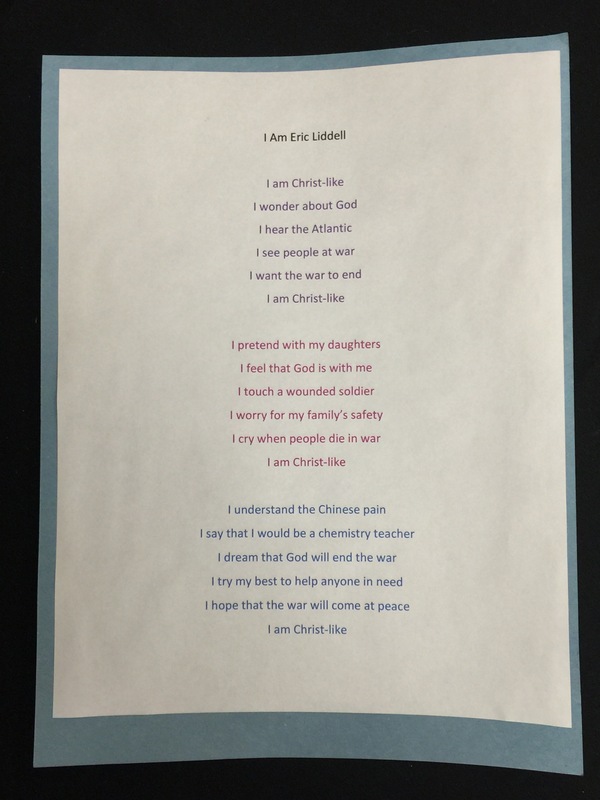 It was a great exercise to help students not only draw conclusions about a recent book, but to do so in a creative way that reinforced what they have also learned about poetry.